Advanced Placement examination, organized by the College Board is one of the important education programmes in USA and Canada. It offers college-level examinations to senior high school students. This exam provides the students with the chance to earn college credit, advanced placement. It’s governed the College Board and a committee of selected teachers and other intellectual personae. The course of the exam is vast and interesting and various, from Art history to biology, which makes it pretty tough as well as interesting. Here we’ll talk about Art History. The Art History exam allows the students to study and analyse important forms of artistic expression which are relevant to various cultures from different time period. The course gives the students an opportunity to acquire the ability to examine and analyse the work of art critically. The main topic in this course is European art along with the African, Hindu, South and East-Asian art. The exam is divided into 2 sections: multiple choice and free response, each having 2 sub parts. The MCQ part includes 115 questions with a time period of 60 minutes. The Free Response part includes two 30 minutes essay question and six 10 minutes questions. The 10 minutes questions are based on work of art or quotation from a source or a document. Students must support their answers with an example of apt work of art. 5-10%on other media such as photography, ceramics etcetera. During this time art was of 2 kinds, either ‘portable’ or ‘stationary’. Portable art was used to be small in size, mostly either figures or objects, carved from stone, bone or modelled with clay. 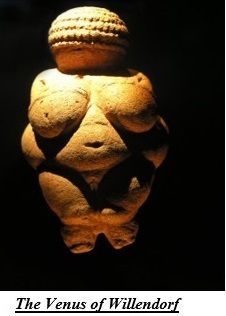 The figures of pregnant females are often referred to as the ‘Venus’. 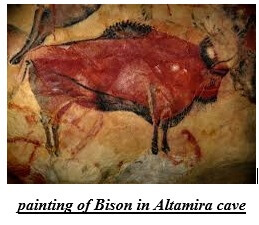 ‘Stationary’ art refers to the immovable art examples like the cave paintings in Europe. The painters derived the paints from minerals, charcoal, ochre mixed into mediums like blood, water, animal fats. These Paintings may have some other symbolic importance. The paintings of the animals are quite realistic. The art objects were associated with daily lives and the usual work like food hunting, fertility rights and so on. This period was a transitional one, with the change in atmosphere, geography and so on. 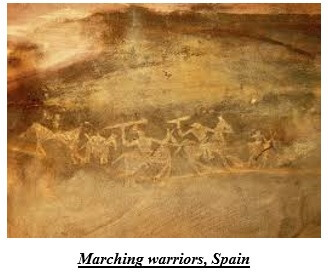 The stick like and abstract human figures had been replaced by images of human beings in groups, like the ‘Marching Warriors’ in Castellon, Spain. 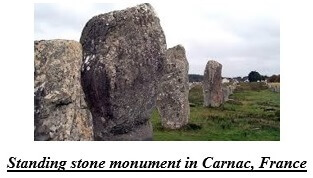 This period saw a distinct change from painting images to building sculptures, monuments and architectures with huge stones, like the ‘Standing Stone’ monument in Carnac, France or the ‘Stonehenge’ in England. Ancient East generally refers to the area around Turkey, Iran, Iraq. The development of art in this area is roughly divided into four phases. This seems to be the world’s oldest fortified community which enabled them to start making monumental architecture like the ‘Jericho’, ‘Seated Goddess’. Mesopotamia. This city state of Sumer is considered to be one of the greatest civilizations. 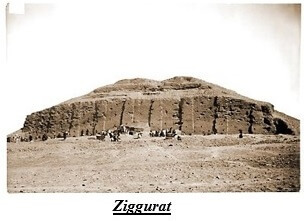 ‘Ziggurat’ is their famous architecture which was supposed to be a religious shrine, symbolizing the connection between men and god and earth. Gradually the Akkadian, Babylonian, Assyrian art flourished through-out the ages. and then began the dominance of pharaoh. As we can see in the architecture as well, one of the most important architectural figures was Imhotep, the chancellor and court architect. 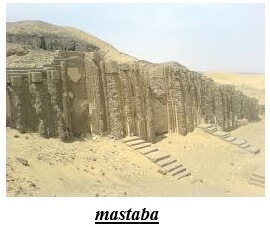 Along with this, during the early Dynastic period, funerary rites also became an important part of the culture which resulted in production of ‘Mastabas’, flat topped, one story building, erected over underground burial chambers. During dynasty III, IV, those were replaced by ‘pyramids’. They used Relief sculpture and painting to decorate interior of tombs, living quarters for deceased’s ‘ka’. During the middle kingdom, the size of the architecture became much smaller due to financial problem and social instability. During dynasty 18, with the restoring of peace and stability, architectural prosperity again started to flourish, around the city of Thebes. During the reign of Amenhotep IV, the dominance of sun god Aten came into being. Amenhotep changed his name to Aten. 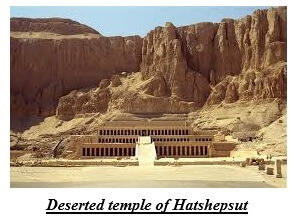 Temple in larger shape began to emerge, like temple of Ramesses II, Nefertiti and so on. The style of Greek art focuses on humanism. The Dorians and the Ionians were the earliest people to create groups based upon language and other common beliefs. This civilization is divided between several periods. Vase painting was a pretty important norm during the Geometric period. The decoration consists of abstract designs surrounding the Vase which was supposed to be designed for votive prayers. During this period, the decorating patterns became larger and the figures of the living beings became more lifelike. 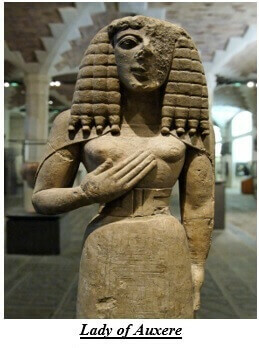 If we see this statue of ‘Lady of Auxerre’ we can see that the abstract figures had been replaced by more concrete fleshy figures, as an influence of Asia Minor. 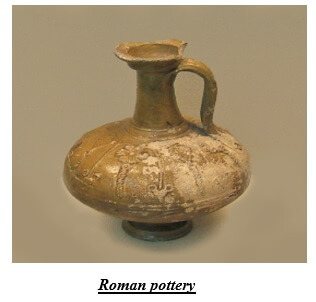 During this period, artefacts were made by stone, marble. 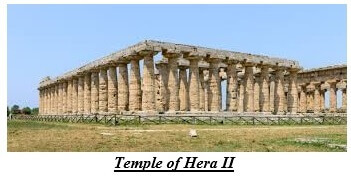 The Doric influence could be seen in the fluted columns of the Temple of Hera, Temple of Korkyra. The statues were life like, embedded with an expression known as ‘archaic smile’. 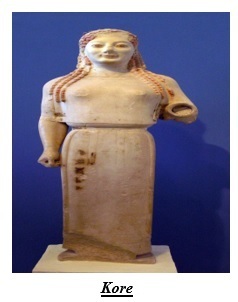 The female figures are known ‘kore’, the male as ‘kouros’. Athens produced most of the vase paintings along with Black figure and Red figure technique. During this time the columns of the temples became more spacious, the vertical shaft had been transformed into horizontal one, due to the result of Persian invasion. Unlike the ancient Egyptian period the human figures now, had become more lifelike, acquiring an almost 3D effect. the direction of Pheidias. 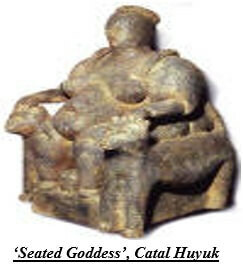 Other examples are ‘three seated goddess’, ‘Horsemen’ etcetera. During this time the sculptors were used to believe the beauty could be found into true form only as we can see in ‘Nike adjusting her sandal’, ‘Myron Diskobolos’ and so on. Later the style got changed due to the tyranny of Kritias. Ancient Republican art was very much influenced by the Greek art, especially that of Magna Graecia, the Greek colonies of the Southern Italy. One of the most prominent influences is the creation of mosaic on floors. 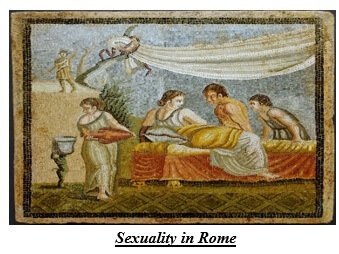 Each piece or ‘tessarae’ of the mosaic was supposed to be limestone or marble and flat. The difficult one is the wall mosaics. 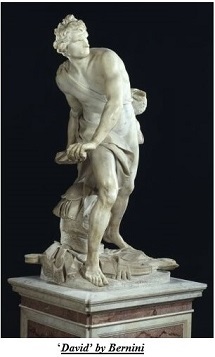 The labourer or the ‘musearii’ was more paid than the others. They used coloured stones too. Like the use of mosaics, the Greeks inspired the Romans in pottery too. The Romans began to make the Red figure vases roughly during 450 B.C. which gradually flourished in 14th century in several places like Apulia, Campania, Sicily and others. During the 2nd century B.C., with the Greek migration the Romans started to use Bronze as new ingredient to furnish artefacts. The Romans were influenced by the Greeks in the area of sculptures too. Earlier they used wooden models for marble sculptures. They worshipped their ancestors which made them to use their images on coin. 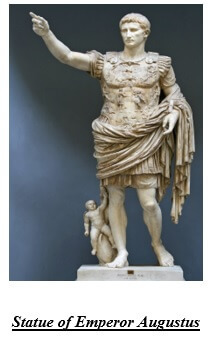 The Greek realism affected the Romans too which resulted in making life sized statue. During the later Roman period, the newly arrived Christian tradition got mixed with the pre-existing Pagan tradition and developed a mixed form. Among these, the paintings were also very important. 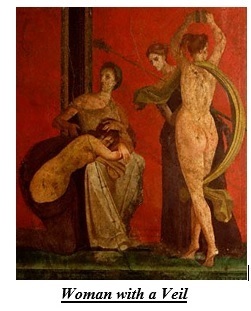 Paintings like ‘Imitation Rites of The Cult of Bacchus’ in the Villa of the Mysteries, ‘Woman with a veil’ are important. 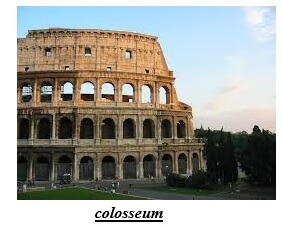 Among the sculptures of Roman empire, the most famous one is the ‘Colosseum’, ‘The Arch of the Titus’, ‘The colossal statue of Constantine’ and so on. During 325 A.D., Christianity became the official and the sole religion with the sanction of Emperor Theodosius I. Rome became divided both politically and religiously with Constantinople being the capital. The earliest examples of wall paintings can be found within the catacombs, conveying common religious messages. 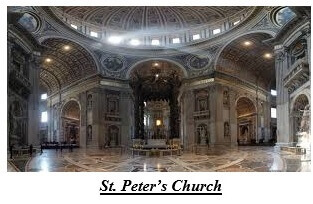 Due to the sanction of Constantine, several churches, basilicas started to be built. 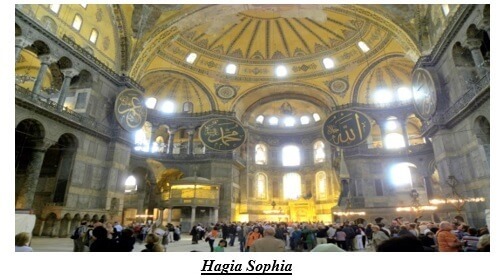 The most important structure of Byzantine era is the construction of Hagia Sophia. Apart from this, there were works on mosaics, iconography and manuscripts and so on. 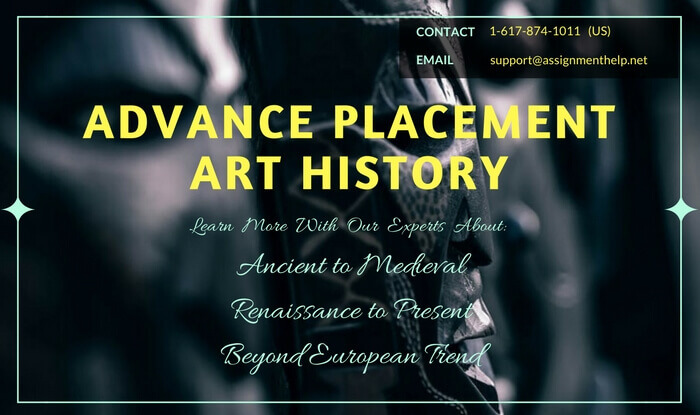 Advanced Placement Art History examination is one of the important and interesting courses. The course is roughly divided into sub parts. Here we’ll talk about the transition in the work of art from Medieval to the Renaissance period. The Medieval art period is a vast one and therefore is roughly divided into many sub-periods like Early Christian art, Byzantine art, Romanesque period and of course the Gothic period. Every period has some distinct style of its own. 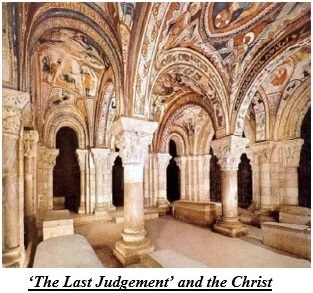 Here we’ll mostly focus on the Romanesque and Gothic period. This style is an adaptation of Roman style and manner of building solid structures like masonry walls, rounded arches and so on. There seems to be an excellent sense of uniqueness in various types of works of art, from architecture, wall painting to painting of tapestry. This uniqueness seems to be the product of the beautiful symmetry among the workers with different focus on different types of styles. In the area of architecture the basic feature is the plan of the basilica with the variations of masonry vaults and buttress, the introduction of Ambulatory. 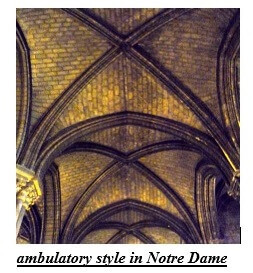 ‘Ambulatory’ is a semi-circular or polygonal side in the structure, as we can see in the image of Notre Dame. The famous examples of this kind of style are the Abbey church of Sainte-Foy, France, Church of Notre Dame, France etcetera. paintings. 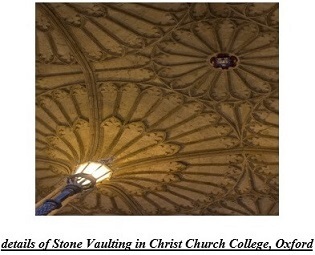 In England, the British people started to use stone for vaulting and to build walls around the church in an experimental way. Church of St. Denis. The word ‘Gothic’ refers to ‘barbaric. Its became popularised by painter Georgio Vasari who addressed it as “monstrous and barbarous’. 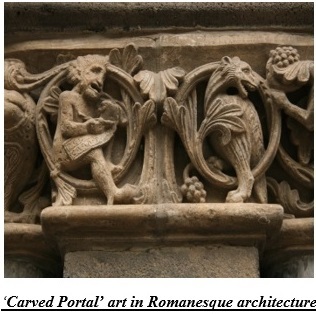 This includes the sculptures, portals, other figures which are an integral part of that style. During the 13th century it became the most got replaced by the Gothic buildings which include larger windows, stained glass. Some of the other significant features of Gothic Art are the use of frescos, illuminated manuscripts, panel painting. 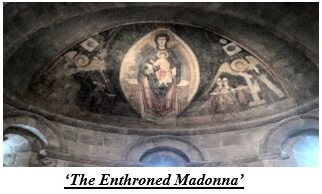 It mainly focuses on the figures and characters of the ‘Old Testament’ and sometimes those along with the ones from New Testament and the images based on the ‘Virgin and the Child’ were placed side by side as in the ‘Speculum Humane Salvations’. During the early 14th century another style of Gothic art emerged, known as the International Gothic Art’ as we can see in the Tres Riches Heures du Duc de Berry. The time period between 1400 and 600, the world witnessed a ‘revival’, renewed interest in classical learning and humanism. This period is known as ‘Renaissance’ meaning ‘rebirth’. Along with these new interests this period also saw the great effect of discovering and exploring new land. Unlike the Medieval time, during the Renaissance the artists were being recognized by their works. Due to the progress of science many new techniques began to evolve. The artists started to develop a perspective. A new idea came into being to make the figures more proportionate, more lifelike. the classical use of column. He used it in his design of Octagonal dome of Florence Cathedral or Duomo. He was responsible for bringing into foreground an exceptional use of spatial integrity, unique during the contemporary time. 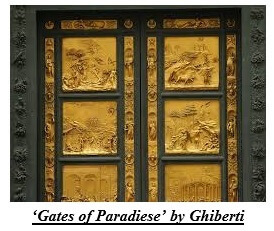 Ghiberti is renowned for the famous sets of doors illustrating the themes from Old Testament which had been praised by Michelangelo as the ‘Gates of Paradise’. Donatello was the most famous among all of them. His best known work is the Bronze statue of David the Biblical hero, with the head of Goliath at his feet. Among the following artists, the important ones are Masaccio, Bellini, Mantegna and so on. Masaccio used both linear and aerial perspectives in his frescoes depicting the life of St. Peter for Branacci chapel in Florence’s Santa Maria del Carmine. In ‘Tribute Money’ he portrayed the figures with utmost reality. Apart from Masaccio, Leon Batista Alberti was another important Renaissance figure. The flat temple front he developed during Santa Maria Novella is amazing. Now let’s take a look at the artists of the High Renaissance. Some of the most influential high Renaissance artists were Leonardo da Vinci, Botticelli, Michelangelo, Raphael and so on. 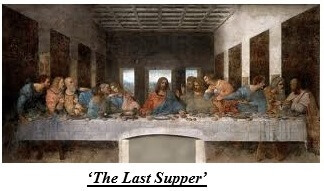 Leonardo is best known for his ‘The Last Supper’, ‘Monalisa’ etcetera. Leonardo was Verrocchio’s pupil. He was not only an artist, rather a creator or inventor. He seems to be the ultimate example of the ‘Renaissance Sprezzatura’. In his works we can witness the sense of elegance, perfect harmony between emotion and beauty, impression of light and shadow, technique of ‘chiaroscuro’, ‘sfumato’, the sense of proportion and perspective. ‘The Last Supper’ was commissioned for the dining room of the convent of Santa Maria della Grazie in Milan by Leonardo’s patron Ludovico Sforza, the duke of Milan around 1495, to be the centrepiece of the Sforza family mausoleum, and it was completed around 1498. The subject matter is the last supper of Jesus and his twelve disciples where Jesus announced that one of them would betray him, as it is described in the ‘Gospel of John’, 13:21. The measurement is 460 x 880 centimetre. With Jesus at the centre of the painting, from left to right, there are Bartholomew, James and Andrew, then Judas, Peter and John, Jesus, then Thomas, James the Greater, Philip and finally Matthew, Jude and Simon. Leonardo placed extreme importance on the scientific geometrical accuracy of the painting; hence the figures in his paintings are proportionate, realistic, unlike the Egyptian or Medieval paintings. Jesus’s head is located at the vanishing point of all perspectives. Unlike the other Florentine and the other Renaissance painters, Leonardo painted it on dry plaster or ‘secco’.Instead of painting it on wet plaster i.e. ‘fresco’, he sealed the wall with layer of pitch, gesso and mastic and then applied the paint, mixtures of earth colour with egg yolk i.e. ‘tempera’. Unlike his other paintings like ‘Mona Lisa’ here we can’t see the extensive use of ‘sfumato’ i.e. the subtle blurring of the outlines or the colours of the painting to mystify the exact nature of the painting. The other famous artists are Raphael and Michelangelo. Michelangelo is mostly known for the giant statue of David which later on became the symbol of Renaissance art and humanism, love of beauty. Raphael is known for his famous wall paintings in Sistine Chapel like ‘the Last Judgement’ and so on. The important artists are Velazquez, Caravaggio, Rembrandt, Bernini and so on. The Mannerist painters showed a significant change from the high Renaissance art style with their use of vivid colour, powerful stroke of brush and more thrust on humanity which enabled them to portray the subject at the moment of action. They were often being accused of their use of unrealistic colour and unrealistic spatial proportion. 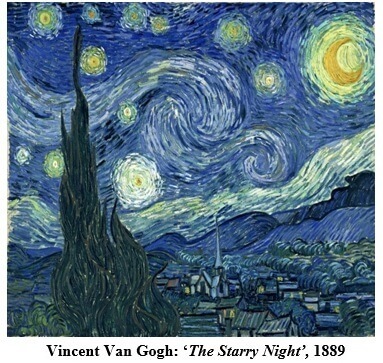 Art History is one of the most interesting courses in the Advanced Placement examination. The whole course is divided into sub parts. In this article we’ll talk about the works of art produced during the time period between 17th century and the post-modern era. The extravaganza of the Baroque movement symbolises the art of the 17th century. What began at the end of the Renaissance period, flourished during the 17th century. The main features of the art works of that period are dynamism, extreme drama and grandeur and use of vivid colour. The style was very much influenced by the Roman Catholic Church as it used the art form to express religious themes, war images and so on. We can witness the use of light and shadow to produce intense emotions. The popular artists were Caravaggio, Rubens, Rembrandt, Bernini. Caravaggio’s manner is far more different from his contemporaries. 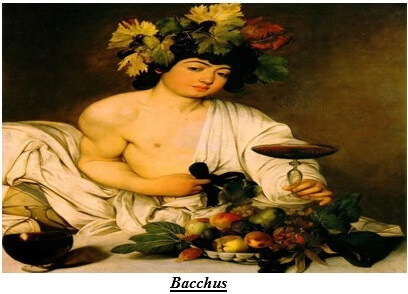 As we can witness in The ‘Bacchus’ there seems to be nothing god like, rather more human like quality of the god. Unlike Renaissance where the subject seemed to have an eternal presence, here the subjects were caught at the moment of action which casts an impression of continuation which makes it thrilling to some extent. Also we must not forget the dramatic use of colour which increases the grandeur of the painting very much. Peter Paul Rubens was a close follower of Caravaggio and intended to create a dramatic effect with minimal details. His knack for painting fleshy women with curve gave birth to the term ‘Rubenesque’. Some of his famous paintings are, ‘Allegory on the Blessings of Peace’, Consequences of War’ and so on. 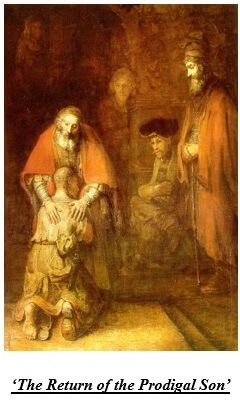 Rembrandt was the great contemporary Dutch artist of and was a rival to Paul Rubens. Rembrandt’s paintings depict the Biblical scenes, history and lots of self-portraits. His paintings were different from his contemporaries, different from landscape or still life portraits. Vividly dramatic, magnificent work of lightand shed, thick brush strokes all of these are characteristics of his paintings. Some of his famous paintings are, ‘The Anatomy Lesson of Dr. Nicholaes Tulp’, ‘Bathsheba’, ‘The Night Watch’ and so on. 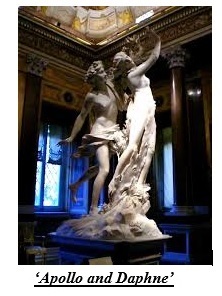 Apart from the paintings, we have sculptures made by Bernini too. He was an Italian artist. Following all the Baroque artists, his sculptures also show vivid dynamism, the emotional intensity. His subjects too were caught in a moment of action, which makes his works more realistic. Some of his famous sculptures are, ‘Apollo and Daphne’, ‘The Agony of St. Teresa’, ‘David’ and so on. 18th century is known for its architectural developments, achieved by artists like Lord Burlington, William Kent and so on. Two new styles emerged: Georgian and Regency style. Along with this a new refreshing, cheerful style of art had been flourished, called Rococo art. It’s a successor of Baroque period. It developed in France and mostly associated with King Louis XV. The famous artists of this style are Jean Honore Fragonard, Francois Boucher and so on. Later, a new style of painting emerged, the satirical type which commented upon the social wrong-doings. It also can be called the graphic art. The best examples are William Hogarth, Rowlandson and so on. 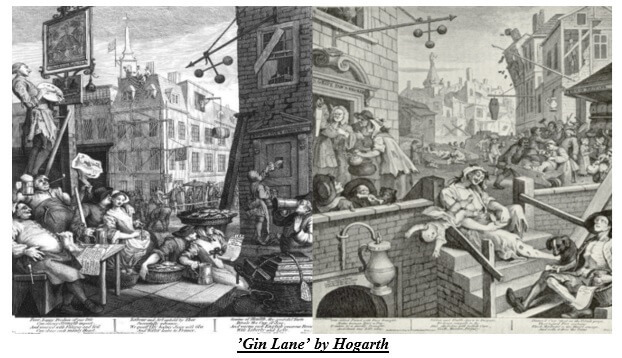 If we take a close look at this picture, ‘Gin Lane’ by Hogarth we can follow the degraded condition of the city life. 18th century also saw excellence in the work of landscape painting and portraiture. In 1768, the Royal Academy of Arts had been established by Joshua Reynolds. 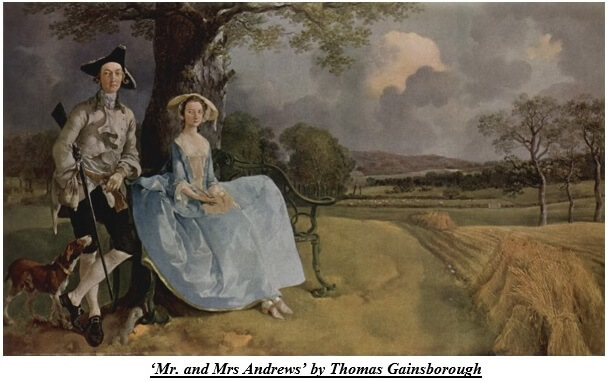 The famous landscape painters were Thomas Gainsborough, Henry Raeburn and so on. 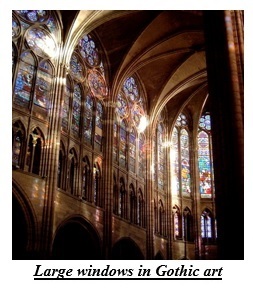 19th century witnessed the revival of Gothic art, revived by A.W. Pugin. 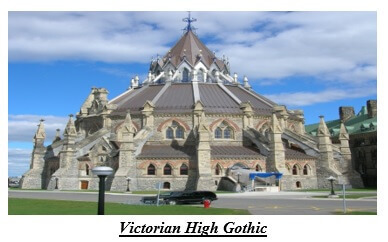 It resembles people’s renewed interest in Medieval Gothic style of architecture. The famous architects to follow this kind of style were Alexander Jackson Davis, Jackson Downing. This style due to its immense irregularity was mostly suited for country houses. Like the Medieval age, this style was also very much appropriate for the churches with its larger, pointy Gothic arched windows and towers. Along with this, the pitched roof, vergeboards, porches with decorated columns were also very much in use. The world of art and architecture experienced a great change during the 20th century. Several movements disrupted the stagnancy of the pre-existing styles and gave birth to newer forms. Among the new ones the most important ones are, Impressionism, Dadaism, Pop Art Movement, Fauvism, German expressionism, Abstract art, Cubism, Futurism and so on. and apply bright coloured strokes. They rejected the former idea that shadow of object was made with brown or black colour. They pioneered the thought that the shadow can be made with the dashes of its complementary colour. The most famous Impressionist painters were Claude Monet, Pierre Auguste Renoir, Camille Pissaro, Winslow Homer and so on. From this style Post-impressionism emerged. It refers to the work of few independent artists like Van Gogh, Paul Gauguin and so on. Fauvism is a joyful, bright style of painting which includes bold colours. It was developed in France by Henri Matisse and Andre Derain. The artists were referred to as ‘Les Fauves’ meaning the ‘wild Beasts’. They used the bright colours to express the artist’s feeling at its highest moment. German Expressionism is another style of art which is influenced by emotional or spiritual vision of world. This is divided into two sections:Die Brucke(The Bridge): an artistic community of young artists in Dresden who rejected the conservative traditions of German art. The other one is Der Blaue Reiter(The Blue Rider): a group of artists led by Kandinsky, Macke who tried to find out the common creative ground between various Expressionist art forms. Abstract Art consists of 2 different ways of abstraction: ‘Semi’, ‘Pure’. 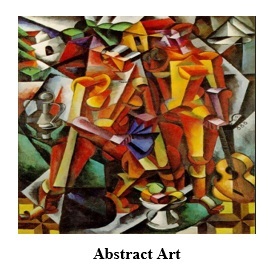 The word ‘Abstract’ refers to withdraw part of something to consider it separately. In the art form that ‘something’ generally refers to the element of subject, its lines, shape, patterns etcetera. Semi Abstraction uses a type of stylization involving the selection, development, refinement of specific visual elements like lines, colour to create poetic reconstruction of the subject. Pure Abstraction consists of independent visual elements as the original subject of the work. Art works of this time were generally aimed to produce a sense of shock regarding the reality. 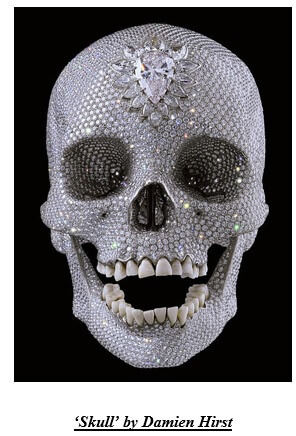 This kind of works include Artist Damien Hirst’s works include dot paintings, animals, dipped in formaldehyde, Jenny Savile’s disturbing nudes, Gary Hume’s abstracts and so on. Like the Art History course, the course on Studio Art is a very interesting one among the courses of the Advanced Placement Examination. It’s a series of inter-related courses like AP Art Drawing, AP Studio Art 2D and AP Studio Art 3D. Here we’ll discuss about this exciting course. Let us talk a little bit about what is Studio Art itself. The term ‘Studio Art’ refers to both the performing and visual art. It places its insistence upon the applicability of the knowledge gathered by the course on Art History. It comprises of art works produced within the studio of the artists or the students individually, independent of the intervention of the syllabus. The structure of the Studio Art course is a little bit different one. This examination focuses on 3 categories: ‘Quality’, ‘Concentration’ and ‘Breadth’. The requirements of each category vary from one person to another due to the difference. Apart from the exam, the portfolios must have certain deadlines. For three different categories the exam structure has 3 different portfolios. 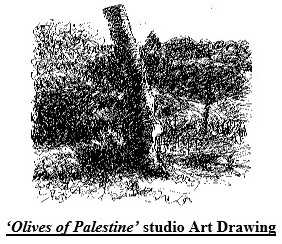 Studio Art drawing generally deals with the painting and drawing mainly. The main focus remains on the composition of lines, colour, shapes and size of the painting. The subject of the painting, as it seems, is not the main focus. Students of this course need to submit 5 original artworks that represent their quality of being capable an artist. Secondly, they need to create a series that represent their abilities to draw and paint in order to show their ability to represent one idea in 12 different ways. Apart from this, a student also requires to submit 12 slides more to show his or her ability to show the skills in drawing, painting, use of light and shade etc. 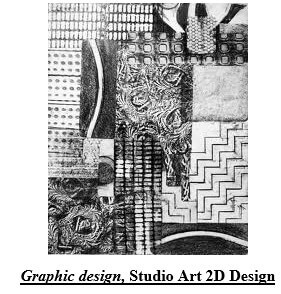 As the name suggests, this course focuses more on the two-dimensional approach of the art like the graphic design, photography, weaving or collage making. Unlike the Art Drawing course where the focus is on the mode of working and the production, this course focuses on the design of the work. 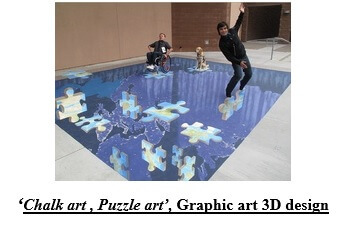 Here the student needs to submit 5 works of art that proves the student’s ability to design 2D pieces, related to 1 idea. In the second stage, the student requires to submit 12 slides of artwork, focusing on one idea. In the final stage, the student needs to submit 12 additional slides in order to prove his or her ability to produce 2D designs combining the main principles, the unity, balance, contrast, proportion, variety, the relationship between the subject and the ground. This course focuses on the three-dimensional artistic works such as making of models, artworks made of ceramics, metal etcetera. Here also the focus lies on the design only. As the portability is a little bit problematic in these types of artworks, therefore 5 pieces of artworks can be shown in ten different slides. In the second step, like the previous ones, the student needs to submit 12 different slides containing artwork focused on one single idea. Finally, he or she needs to produce 8 slides to prove the 3D skills. This course is most important as it helps the students to acquire both theoretical and practical knowledge and also gives them an opportunity to learn while working.